When it comes to security, insider threats are an unfortunate fact of life. But if you're thinking only about combatting malicious insiders, you may be miscalculating the risk. "The insider threat is much broader," says Steve Durbin, managing director of the Information Security Forum (ISF), a nonprofit association that assesses security and risk management issues on behalf of its members. "It isn't just about bad apples — people that are deliberately out to steal information or harm organizations." The other two types of insider threats, Durbin says, are negligent insiders, who are aware of security policies but find a workaround, probably with the best of intentions, to get work done, and accidental insiders. A negligent insider, faced with the need to get a large file to a colleague, might turn to a non-approved Web-based file hosting service. An accidental insider might be a manager who is emailing employee performance reviews and miskeys an email address. Due to the magic of autocomplete, that email winds up in the wrong hands. "These two other segments within insiders probably have a more significant impact and are probably more difficult for security departments and the organization to control," Durbin says. And, of course, regulators and customers don't care whether a data breach was the result of a malicious actor or not. "This makes life difficult," Durbin says. "The accidental incidents are well-nigh impossible to guard against. You have to focus on things like training and awareness. When it comes to negligent insiders, it comes down to communication of policies and procedures." The ISF released a briefing paper, Managing the Insider Threat, to its members this week, noting that the insider threat has intensified as people have become increasingly mobile and hyper-connected. Nearly every worker now has multiple, interconnected devices that can compromise information immediately and at scale, according to the ISF. The impact is no longer limited by the amount of paper someone can carry. At the same time, social norms are shifting, eroding loyalty between employers and employees. To lessen your vulnerability to insider threats of all stripes, Durbin says the place to start is with a risk assessment. "What you really need to be doing is looking long and hard at the information available to you," he says. "Categorize it. Look at what might happen if that were to get lost." The more valuable the data, the more stringent controls you should put in place. Then base your awareness and training programs around that. You need to communicate to your employees what's truly valuable. It's also time to really institute a least privilege framework if you haven't already — limit access to information to those who actually need it. That includes upper management, Durbin says. "I may be the boss, but I probably only need the higher-level corporate financial information," he says. "Further, I don't need to see performance reviews for anyone that doesn't actually report directly to me." Take these steps, he says, but recognize that in the end, everything is going to hang on trust. "Numerous factors are increasing organizations' exposure to the threat posed by insiders, and technical controls are limited," Durbin says. 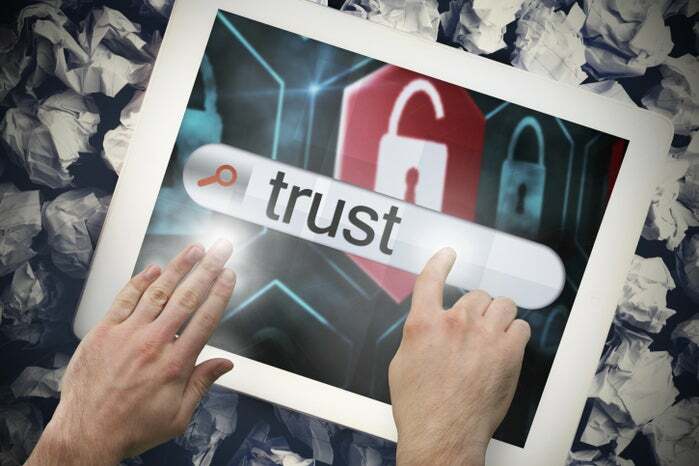 "To combat the threat, organizations must invest in a deeper understanding of trust and work to improve the trustworthiness of insiders." But trust flows both ways, he cautions. While taking pains to make sure your employees are trustworthy, the organization must also prove to its employees that it is trustworthy. For instance, Durbin says that if you monitor employee actions, it should be disclosed. "You should be very open about what monitoring you have in place," he says. "If you work on a trading floor, you know that all of your actions are recorded. It's known and accepted." On the other hand, if you monitor employee email traffic without communicating that fact or disclosing it in your policy, that destroys employee trust. And that's important, he says, because while insiders may pose a threat, your employees are also potentially your first line of defense, if they understand both the stakes and their responsibilities with regard to safeguarding data. "The key is really about openness, trust and communication," Durbin says. "Make sure your policies are current and appropriate for the way you're doing business." This story, "Defending against insider security threats hangs on trust" was originally published by CIO.